HR tools for hrd manager. We proudly present ULTIMATE HR TOOLS for HR MANAGERS. In total, there are eight exceptional HR tools that you can immediately use to enhance your HR performance. 1. A Complete Catalog of KPIs for All HR Functions. 2. A Set of Competency-based Interview Questions. 4. Employee Satisfaction Survey Questionnaire. 5. 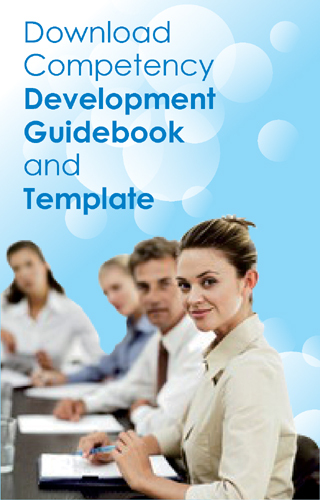 Competency Development Template and Guidebook. 6. Powerful Template – Table of KPIs for HR Managers. 7. Tool to Evaluate HR Effectiveness. 8. Employee Development Plan Guidebook. 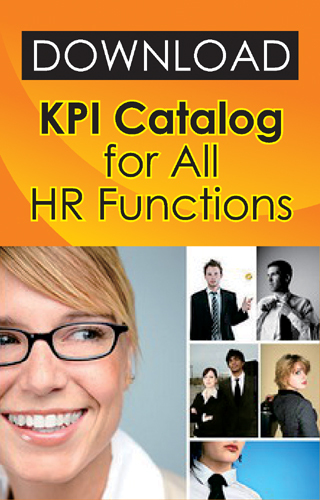 This catalog provides an extensive list of key performance indicators (KPI) for HR function. You can immediately utilize this valuable tool as part of your performance management process. The file displays a complete list of key performance indicators for all HR functions – from recruitment, career management to people development. Competency-based interview technique is one of useful tools to screen potential high performing candidates. This downloadable file contains sample of competency-based interview questions. It describes competency definition, behavior indicators of competency, and a series of competency-based questions. 3. List of Competency-based Questions for many types of competency. This downloadable file contains explorative and insightful questions need to be delivered when you would like to conduct HR Audit. This tool will surely help you enhance the performance of your HR team. When you download, you will find elaborative questions to fully capture the performance of HR in all HR functions: recruitment, selection, training & development, performance management, labor relations, career management, and organization development. 1. What was total revenue for the business unit for the most recently completed fiscal year? 2. What is the company business strategy? 3. Does the company business strategy link to Human Resources (HR)? Please describe. 4. What is your company’s HR Strategy? Is the HR strategy aligned with the company’s strategy? 5. Who develop the HR Strategy? Do you assemble a cross-functional team to develop the HR strategy? 6. What does HR do in supporting the implementation of organization’s strategy? 7. Determine how the human resources department will support strategic goal and impact organization performance? 8. Do you perform a gap analysis of current versus desired organizational behavior and performance, and develop strategy to close the gap? This downloadable file contains question items that can be used in Employee Satisfaction Survey. The questions explore five key dimensions: company, job, manager (superior), workgroup, career opportunity, and employee benefit. This survey can be deployed on a regular basis (via annual survey for example) and will be very instrumental in portraying true dynamics of employee satisfaction level. When you download this file, you will find a complete set of questions that explore five key dimensions as mentioned above. This guidebook provides a comprehensive guideline to develop competency catalog. After describing a clear understanding about competency concept, this guidebook explores detailed activities need to be done to create and develop competency catalog. When you download, you will find five files. File 1 – Competency Development Guidebook. Provides a comprehensive guideline to develop competency catalog. File 3 – Core Competency Workshop. Describes steps need to be done to identify and develop core competencies. File 4 – FGD Guide. Describes steps need to be done to conduct focused group discussion (FGD). FGD technique is used to identify job relevant competencies for a particular position/job/job family. File 5 – Behavior Event Interview. Describes steps need to be done to conduct behavior event interview (BEI). This technique is used to identify critical behaviors of competency. These identified behaviors will be used as a basis for developing competency catalog. File 6 – Taxonomy. Describes example of behavioral terms for stating specific learning outcomes. File 7 – An excellent example of Competency Model and Competency Matrix. This excellent template displays Table of KPI for HR Manager. After explaining key result areas and KPIs for HR Manager, this template also describes the formula to calculate KPI score. This template can immediately be used as “Performance Contract Agreement” for HR Manager. When you download this tool, you canfind a Template Table that consists of 7 columns : column for key result areas, key performance indicators, weight of KPIs, target, actual results, Score and Final Score of KPI. This downloadable file contains a series of coherent questions to be used in HR Service Users Survey. This survey is designed to explore the effectiveness of HR function and service delivery in the eyes of its customers (employees). When you download, you will find questionnaire that explores the effectiveness of HR service delivery in all HR functions: recruitment, selection, training & development, performance management, labor relations, career management, and organization development. For example, in Selection & Hiring of Candidates, the question explores all activities associated with identifying candidate pools, screening of candidates, interviewing, educating hiring managers, notifying applicants, determining compensation, and orienting new hires. In Performance Management System, questions encompass services around developing performance management systems including competency modeling, developing performance targets, coaching, and the corresponding administration of the programs. This guidebook provides an extensive list of development activities to enhance your competency level. Thus, this guidebook will be very useful if you have an intention to write an Individual Development Plan to sharpen your future performance. This entry was posted in HR TOOLS and TEMPLATES and tagged Powerful HR Tools for HR Managers.